850 attendees. 65 Long Service Awards. 39 Promotion awards. 38 Commendation Awards, 170 lucky draw prizes. 2 Best Employees of the Year. A memorable night, not to be forgotten. All these and more were packed into a fun and exciting celebration that was specially curated to celebrate Thye Hua Kwan Moral Charities’ 7th Anniversary and Staff Appreciation Nite 2018 on 14 December 2018. Our staff were decked out in a dazzling array of costumes to suit the theme. 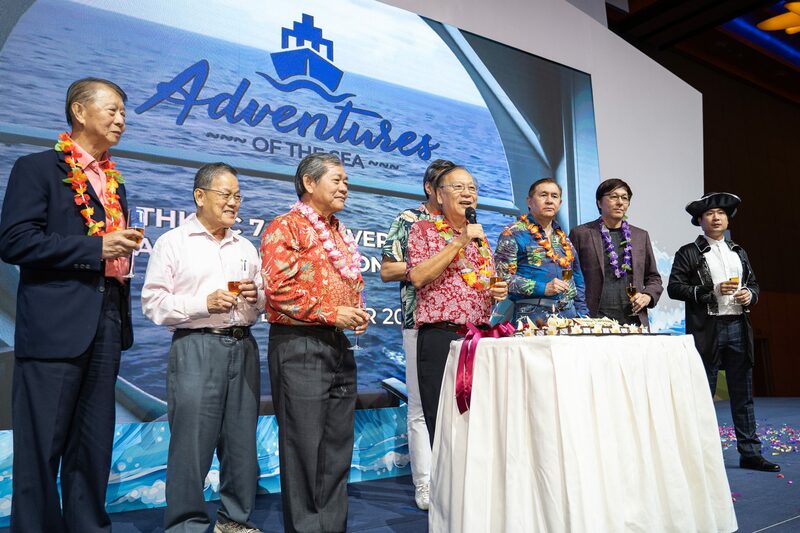 A sea of mermaids, pirates, captains and Hawaiian tourists converged at the Resorts World Convention Centre West Ballroom for an evening of enjoyment and relaxation. Among those spotted were members dressed as the cast of Japanese animation “One Piece” and a intricately-dressed green-faced mermaid who emerged as the Best Dressed for the Night. Both Tug Guan Huay, Dolly, aged 71, Programme Assistant from Indus Moral CARE and Thu Thu Win Myint, aged 28, an Enrolled Nurse at THK Home for Disabled @ Chai Chee, bagged the award for the Best Employee of the Year. All in all it was the perfect time for our THKMC family to gather, wind-down and bond as we prepare to head into the new year. A hearty congratulations to Punidhavathi D/O Palaniandi from THK Therapy Services Division! She walked away as the Grand Prize Winner for the lucky draw held that night. Her prize? 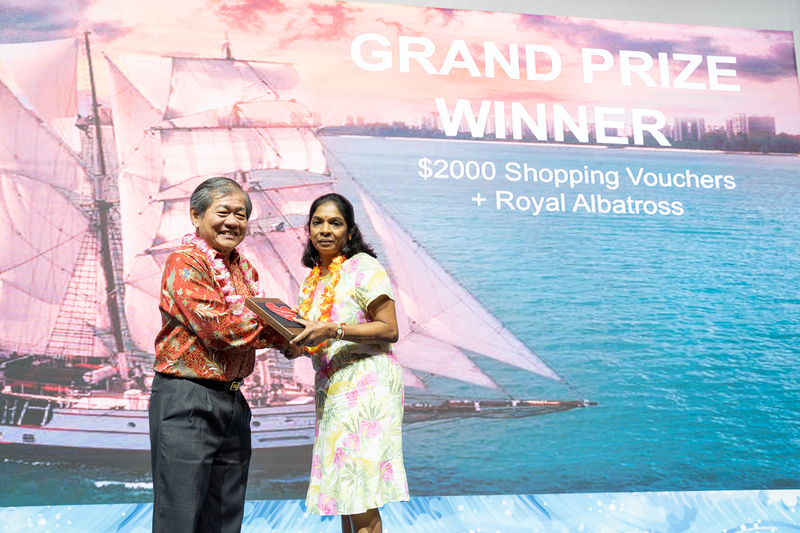 $2000 worth of shopping vouchers + 1 pair of tickets for Royal Albatross platinum package (Worth $390)! Check out the photos from our event here, as well as the hashprints, here.